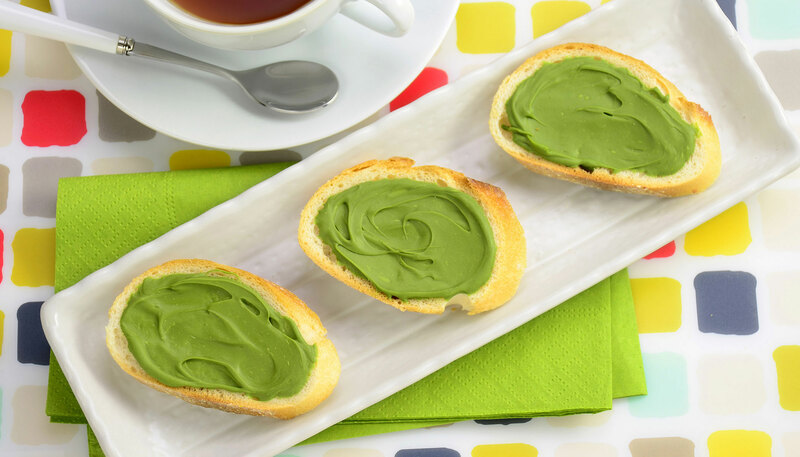 This is a flavorful snack that is easily made using leftover baguette. 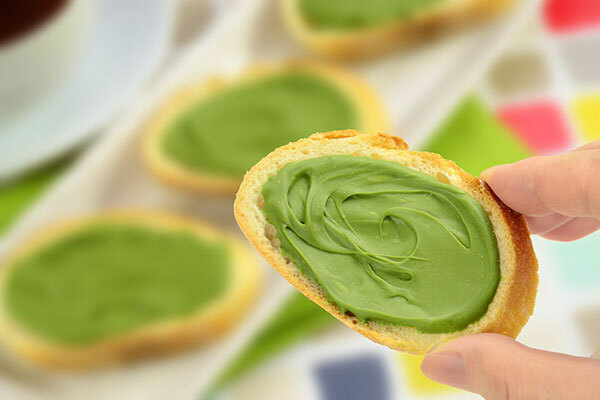 The semi bitter taste of matcha makes this snack a tasty compliment to your favorite afternoon tea! Preheat oven to 275°F. 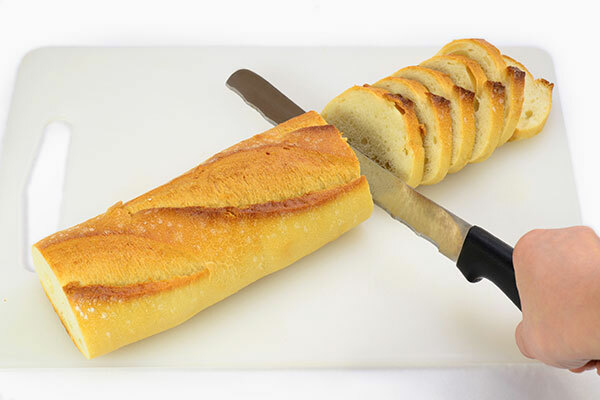 Slice baguette in 1/2 inch thick pieces. 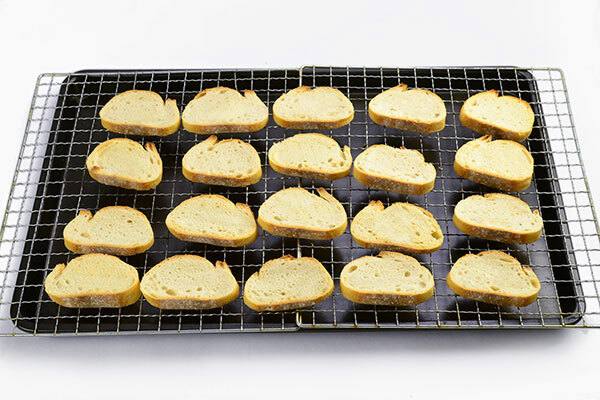 Place sliced baguette on a sheet pan and bake for 30 minutes. Transfer to a wire rack and allow baguette to cool. 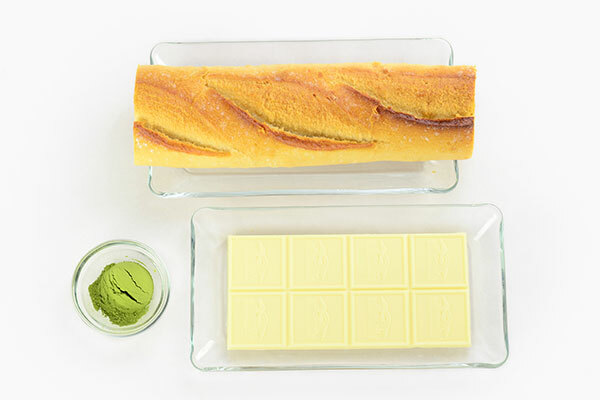 Make the matcha chocolate. 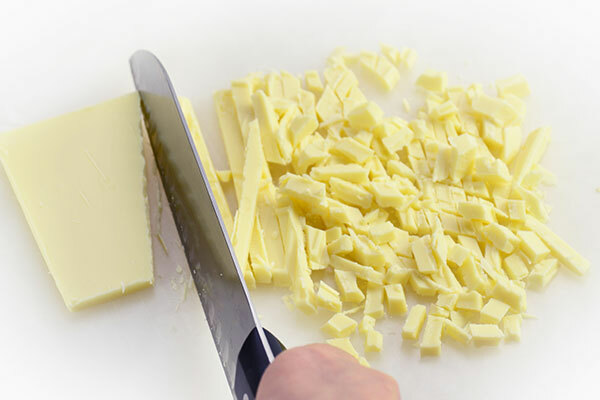 Chop white chocolate into small pieces, about 1/4 inch each. 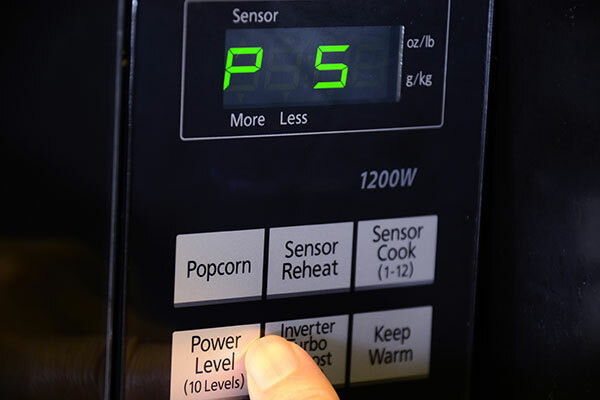 Set your microwave to 500-600 watt equivalent strength. 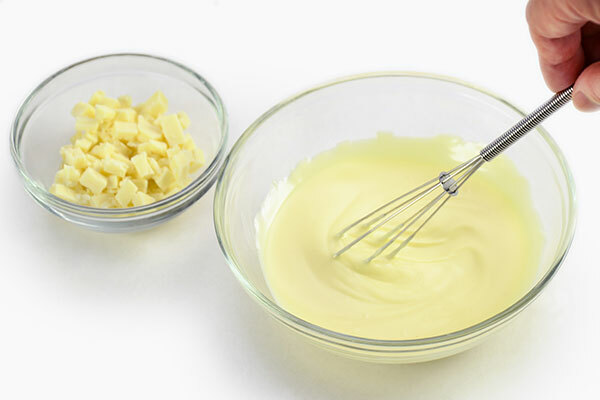 Place chocolate in a microwave safe bowl and heat 3/4 of the white chocolate for one minute and give it a stir. 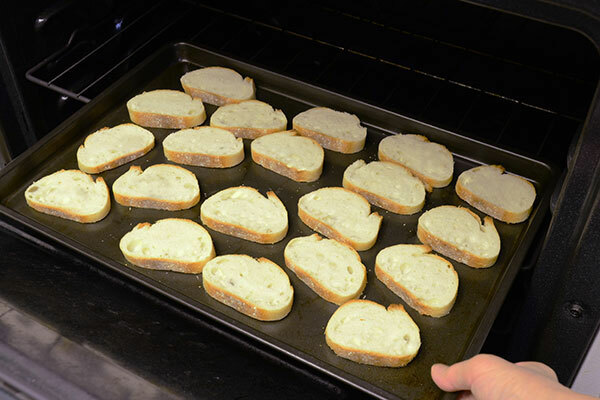 If it is not melted, continue heating in 10-second intervals until all pieces are melted. 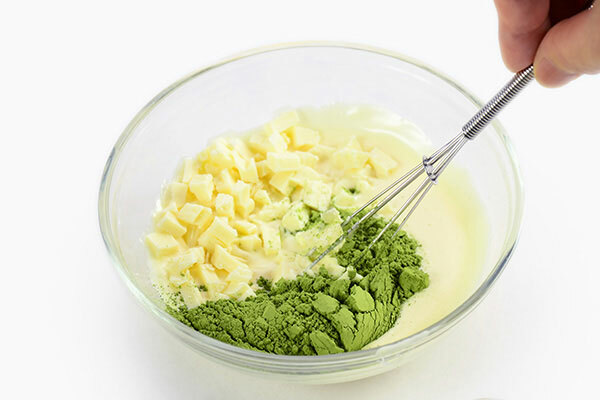 Add remaining 1/4 of the white chocolate and matcha powder to the melted white chocolate and mix well. 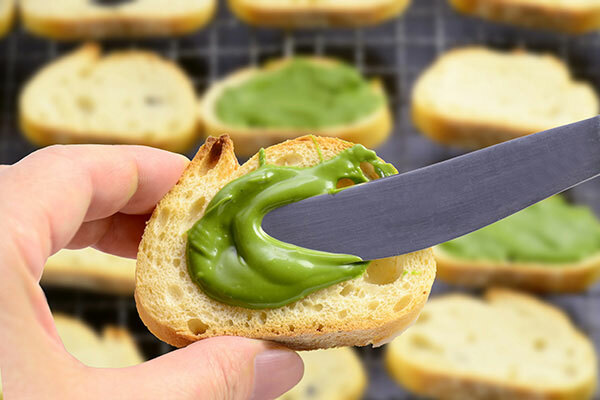 Spread matcha chocolate on baguette from step 3. Refrigerate for about 15 minutes or until the chocolate hardens. Store in an airtight container to keep the baguettes crisp.